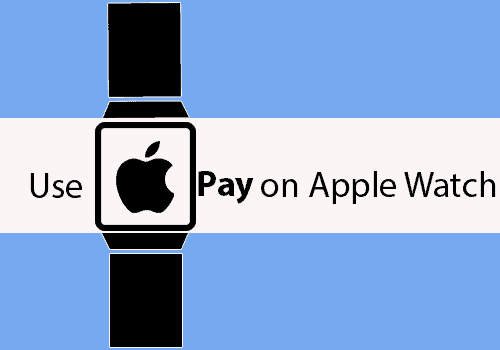 Apple pay on Apple watch is the most comfortable Apple Pay in stores and payment outlets that accept the feature. The apple pay allows users to make payment with a few taps your phone. The same functionality is adopted on the watch but a convenient approach. 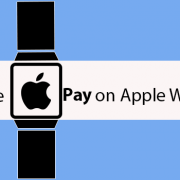 Below are the brief steps to set up Apple pay on Apple watch. Start up the Apple Watch app on your iPhone. Go to Wallet & Apple Pay on the menu options. Then tick the space available for Mirror my iPhone. Thus configuring the apple watch to synchronize with the iPhone apple pay settings. The action lets you apple pay on the Apple watch to use the same debit card information already on the iPhone. If you have credit or debit card attached to other apple services such as iTunes, just inputting the security code on the back of the card when prompted. Some banks might require verification email or text to complete the process. During setup of the Apple watch, tap to Add Credit or Debit Card on the screen. However, to use a different card tap Add a Credit or Debit Card and enter the requested information. To use Apple pay on Apple watch simply double tap the side button on the Watch and hold the Apple Watch up to the card reader facing the card reader. If there is more than one card attached to the Apple Pay, swipe across to select the card to use. The card displayed will be charged. The Apple pay on Apple watch sends a beep and tap-vibration to notify users of successful. Once the notification is received, take off your wrist. Depending on the transaction, the receiver might as that you sign a receipt. Likewise, if you have a debit card attached to your Apple pay, the PIN number will be needed to complete the transaction. Although not all shop and retailers accept apple pay yet, there are a few businesses accepts it as a form of payment, and more being added every day. Retailer usually indicates acceptance with a symbol on their card reader like a sideways WiFi symbol. Some of the major retailers that accept Apple Pay as a form of payment include Foot Locker, American Eagle, Office Depot, Bi-Lo, Bloomingdales, Aeropostale, Fuddruckers, Jamba Juice, Lego, Macy’s, McDonald’s, Petco, Panera Bread, Sephora, Staples, Walgreens, and Whole Foods. You can check out a full list of supported major retailers here.